Looking for Rental Equipment? 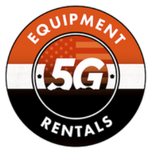 5G has you all your rental needs covered. From Large machinery to watering trucks & generators for the everyday weekender, all of our equipment is new and ready to be put to work. Feel free to browse below, or if you have a question, don’t hesitate to call us at 541-728-1009 or reach us online here.